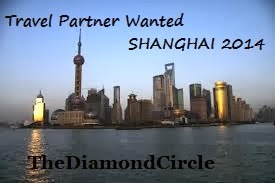 Our next FREE TRIP will be SHANGHAI!! Who wanna be my TRAVEL PARTNER? Seronok kan .. selain boleh generate side income, kita juga boleh melancong secara PERCUMA! Lets meet up and will share with you all the details! PREMIUM BEAUTIFUL NEW YEAR 2014 PROMO!